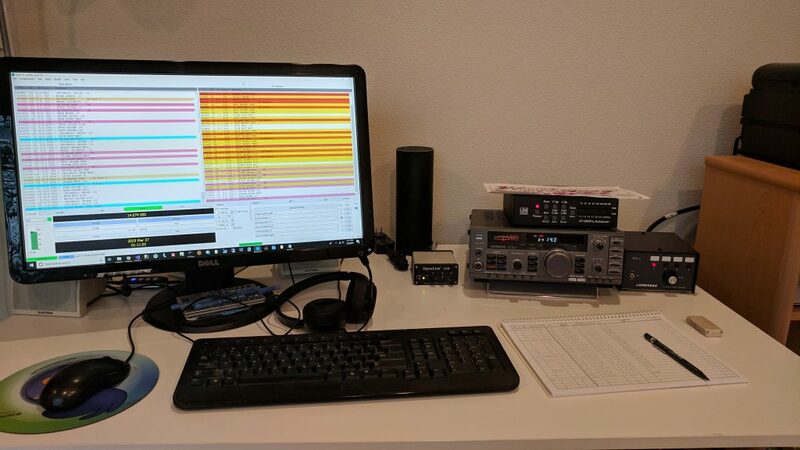 Most operation from the home station is FT8 as you can tell by the fact that there is no mic hooked up to the TS-680S. I just recently (Feb. 2019) finished some work that wired up my upstairs study. I no longer have to operate downstairs with feedline running out a window. The operating position is much more comfortable now! Future antenna plans call for another long wire antenna perpendicular to the current one, a small dual band VHF/UHF vertical and anything else that I think I can hide well enough.